signifying nothing,” he probably didn’t have the BCS system in mind; nor did Faulkner when he subsequently appropriated it. Judging from many of the conversations I have had of late, however, I cannot think of a better quote to describe the process and the attendant controversies inherent within. College football rankings are a study in chaos theory; they are the nearest thing to entropy that can be achieved outside the confines of a supercollider. Rankings are based on a combination of human proclivities and computer algorithms. There are conferences and conference championship games, but they often have little — or entirely too much — bearing upon who plays in the national title game. Furthermore, as the BCS sets limits on participants from any given conference, inferior teams often play in BCS games at the expense of more accomplished teams, and the lack of a playoff system creates needless handwringing every year. It is almost impossible to create a more abstruse system, or one that generates more heated arguments, than the BCS. In fact, if we were somehow able to harness the hot air, vitriol, and other collective energies dedicated to the discussion and decocting of the BCS system, I am relatively certain we could end our dependence on foreign oil. What has me in particular lather, as I sit here assiduously pecking away, is the BSC title game between 13-0 LSU, and 11-1 Alabama, of course. During the course of the last few days I have been involved in an animated, if not downright frustrating, “discussion”on Twitter over the validity of Alabama — a non-conference champion — having the opportunity to play LSU in a rematch to determine the National Champion. I have been accused of many things during this time, from being scared (which admittedly, I am on some level) to being stupid (which I might be, but will never admit to). I tried to counter with facts, statistics, logic, and sound judgement, which I now realize are almost entirely worthless in an SEC football fight (see what I get for attending a Jesuit university in the Northeast). In the end, however, I realized that although I could provide a sound argument for why Oklahoma State, Stanford, Wisconsin, Oregon, etc., could legitimately play in the title game, I could not totally refute the notion that Alabama was the second best team in the country, despite their much less rigorous schedule and lack of a conference title. And — as I was told many times — that is the point of the BCS, right: To match up the two best teams in the United States of America in the ultimate grab for money and prestige. I will admit, as well, that I like empirical evidence. The idea that teams can lobby (like Saban did for Alabama on College Game Day a few weeks back) is antipathetic to me. 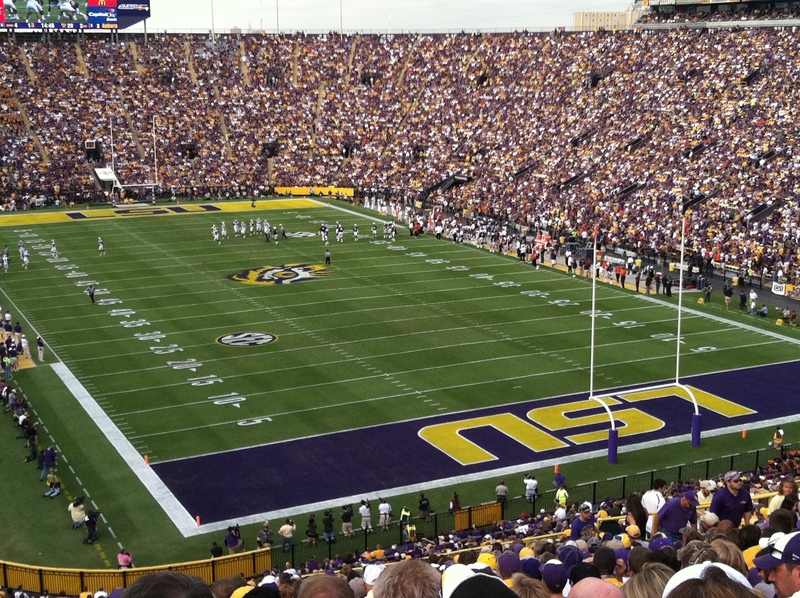 I like when it is decided on the field, and I thought LSU did that on November 5th when they beat their division rival on the road in a tightly contested game that came down to a few big plays and special teams. LSU remained perfect, undefeated in their conference, and won their league championship, yet still never achieved a consensus number one among the talking heads on ESPN, who seem to think Alabama lost it, as opposed to LSU winning it. The chatter was for a rematch, and, on the final day of the polling, a rematch was the decided outcome: LSU v AL for all the marbles. Now I could give a million reasons why I don’t think this is fair; in truth I already have. But then again, life isn’t fair, and if LSU won the BCSNCG playing a team other than Bama, many would think that their title is tainted. That they won against inferior competition. And, that the two best teams did not play in the BCS Championship game. To me, this speculation is worse than losing to Alabama, and is unfair to the players and coaches on both teams. This entry was posted in SEC Football. Bookmark the permalink.